Now made from durable high-tech resins and fibers plus a light sprinkle of natural hog’s hair fibers. They are thicker, stronger and perform better than other fiber pads. Revive carpet encapsulation pads are the perfect choice when you need a high-quality pad that will clean a wide range of soiling conditions. 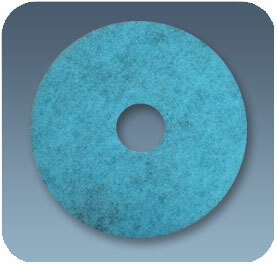 Revive Encap Pads will give you more scrubbing power than even the best bonnets. This scrubbing action can at times even be more effective than hot water extraction. Why, it easy. When you hot water extract your running a smooth non-aggressive piece of metal or Teflon over the surface of the carpet. If the soil is packed in-between the fibers you can only rinse away so much. With Revive Encapsulation Pads and the CarpetMax or your floor machine you will get a new level of scrubbing action that loosens packed in soil and will take your low moisture carpet cleaning to the next level. 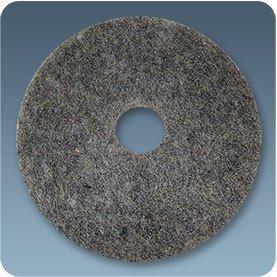 Revive Encap Pads wont shed or leave little pieces of material in your carpet. You will clean up to 8,000 feet per pad under a rotary and 2,000 to 5,000 feet under an OP machine. This means next to no annoying pad changes while cleaning and no pile of dirty bonnets to clean after a big job, saving you even more time. And with a cost of about $5.00 per pad they couldn’t be more economical to use. Remember, fewer pad changes, no laundering & better results. Now stronger, thicker and better in every way. This Plus encapsulation pad fortified with tough hogs hair offers all the same feature of regular Revive pads with more scrubbing action. Like regular Revive pads, Revive Plus also does not shed the pads fibers, which means no pieces in the carpet. You will clean up to 8,000 feet per pad under a rotary and 2,000 to 5,000 feet under an OP machine, depending on the carpet type. For the price of other company’s regular pads you can afford our higher performance pad. The open weave also whips foaming encaps better, helping with chemical penetration. This is a great residential tufted carpet pad! with Revive Carpet Encapsulation Pads and the CarpetMax.